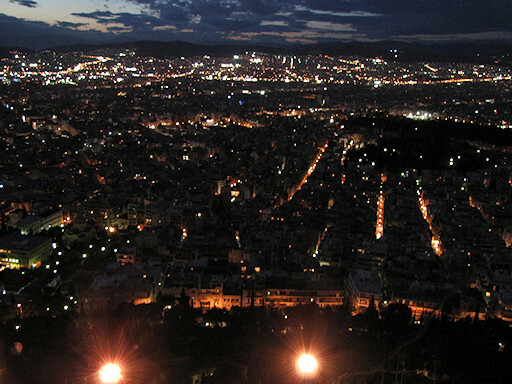 The photograph is the one having taken it from the highest Likavitos Hill in the Athens city. There were a restaurant and a church in the top in the hill of above sea level 273m and the view of 360 degrees was preeminent. 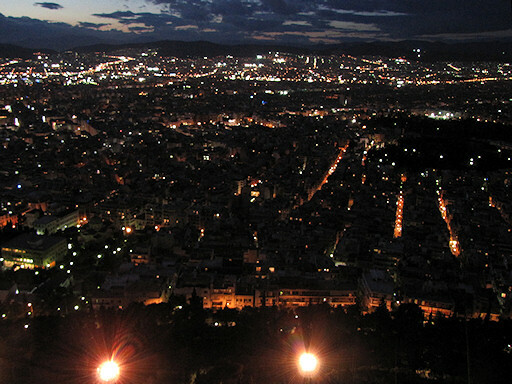 The acropolis to which the light was improved is seen well. Even the cable terminal was a road on the length and the continuing stairs though gotten on an underground cable.